The brand new trailer for Star Trek Beyond is out, and already this movie looks like a departure from J.J. Abrams' installments. 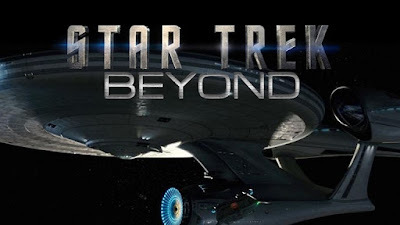 Directed by Justin Lin of "Fast & Furious" fame, the third installment to the newly rebooted "Star Trek" franchise looks both fast and furious and (more important) covered with great crew moments. Anytime you can get Bones (now played by Karl Urban) grumbling into the camera, that's a big win for the "Trek" fans of the world. Star Trek Beyond hits theaters July 22 2016.